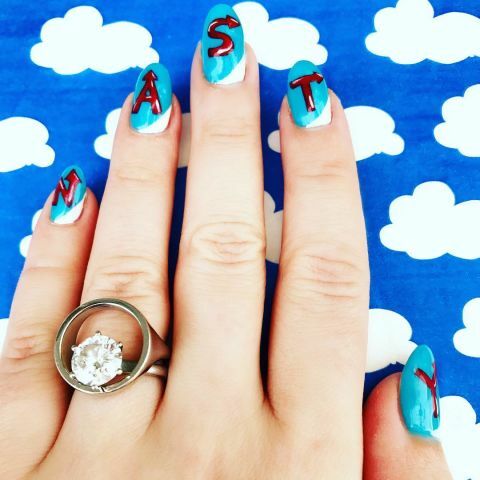 This summer, observe the holiday with low-key patriotism via popsicle-inspired art, fruity ombré, oceanic waves, and more from our favorite Instagram nail artists. 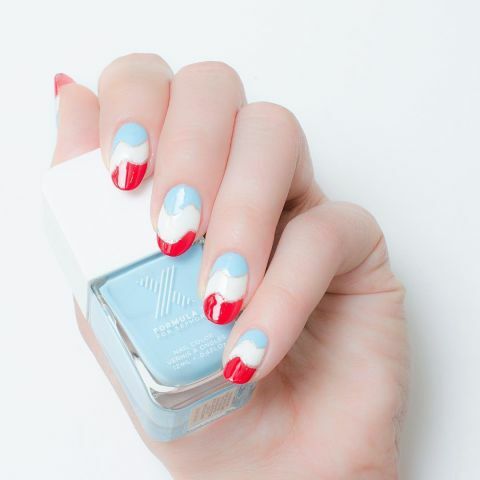 Here’s a classic negative nail—half moons and tips—with an Americana spin in red, white, and blue. Staying poolside or hitting the beach this holiday? 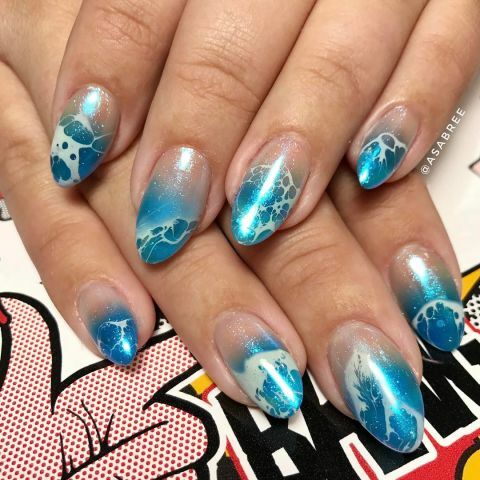 Let your mani match your setting with a wave-inspired design. 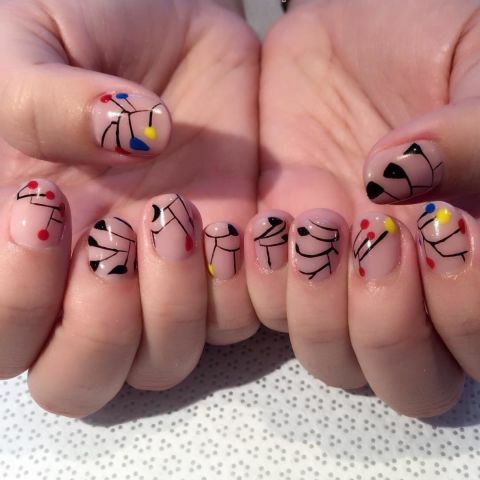 If you’re more into art than politics, highlight your love of a modern American artist like Alexander Calder. 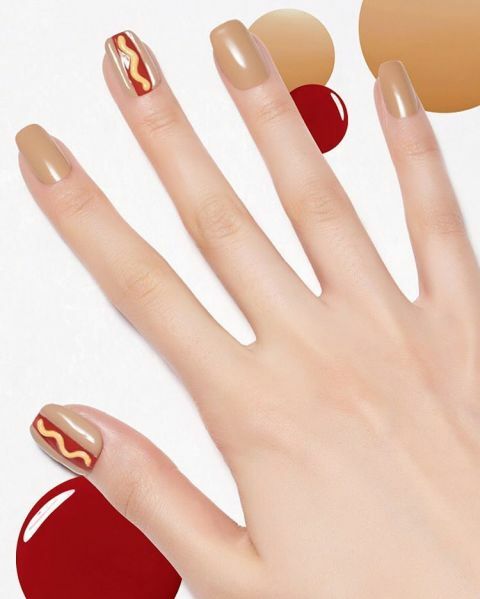 Skip the stripes and stick to an all-star mani. 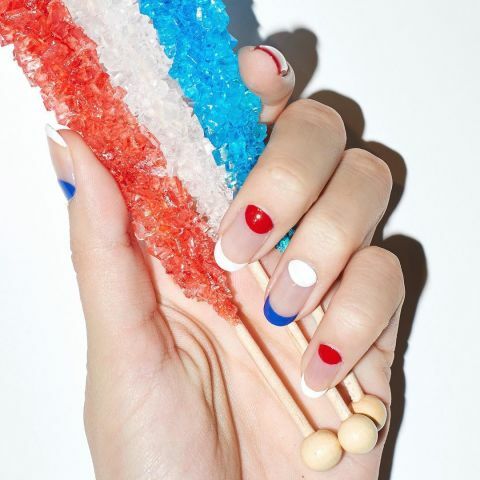 Match your mani to the iconic Firecracker popsicle with a three-colored wave. 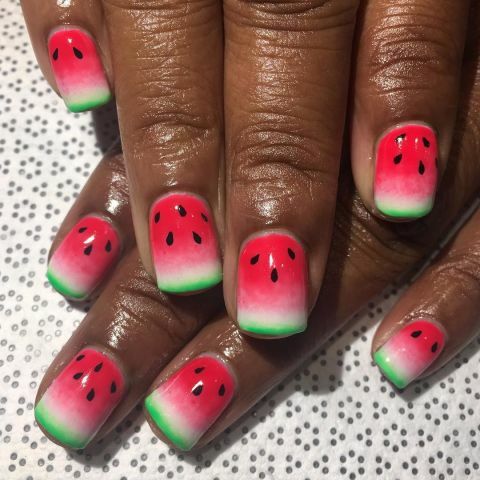 A juicy way to celebrate 4th of July best involves watermelon. Imitate the fruit with an red ombre that fades into white with green tips. Once dry, dot your design with black seeds. 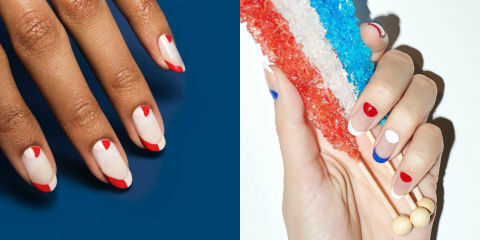 If USA’s color trio is DTM, pick two for a simple nail you can wear long past the holiday. 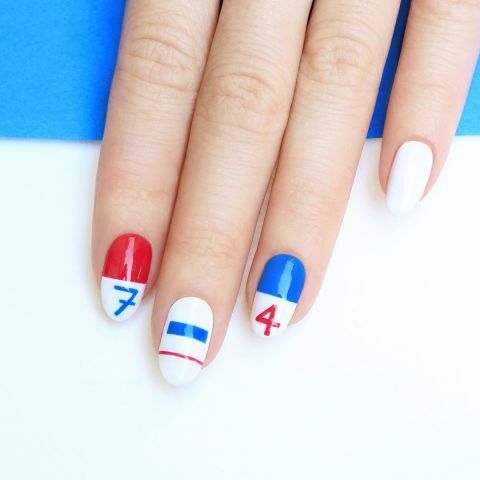 Upgrade a graphic nail with the most straightforward, yet minimalist, way to reference Independence day: the date. 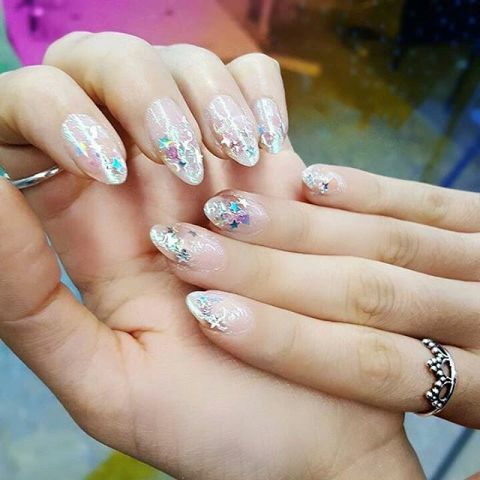 Stay neutral with this half french tip, half glitter nail. Fireworks are arguably the best part of 4th of July. 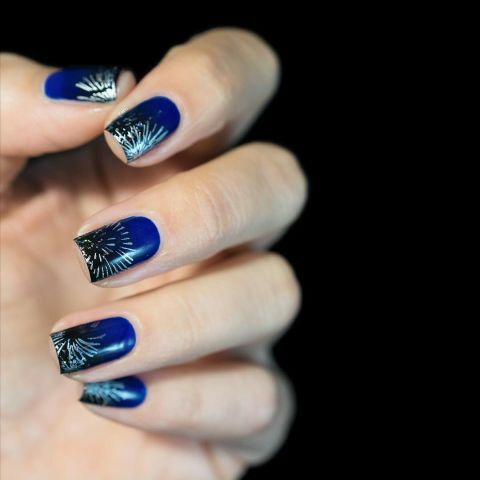 For this explosive look, contrast a matte base with metallic nail polish for the fireworks to make the design pop.